Metal Roofing is now becoming a popular upgrade for homeowners looking for a permanent roofing system on their home or building. 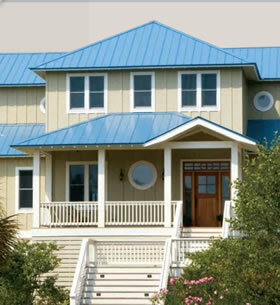 Standing seam metal roofing offers many benefits to the consumer such as potential energy savings, an enhanced appearance, it’s low maintenance and withstands almost everything mother nature can throw at it. If your roof needs to be replaced and you plan on living in your home for another 10+ years or even handing it down to family members, then a standing seam metal roof is exactly what you need. Brad’s Construction is a certified standing seam metal roofing installer based out of Mayville, Wisconsin. We specialize in the installation of standing seam metal roofing in either a 24 or 26 ga thickness and in a variety of different colors. 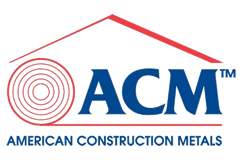 We are licensed, insured and have taken part in required industry training from the metal roofing manufacturer so all of the work we complete on your home or building will meet or exceed factory specifications which is important for your warranty. We sell and install a variety of different metal roofing products in varying gauge (thickness) and colors depending on your budget and application. 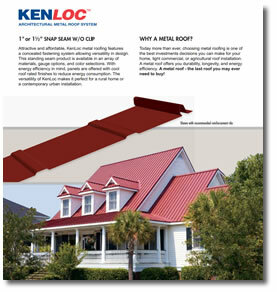 Attractive and affordable, KenLoc metal roofing features a concealed fastening system allowing versatility in design. 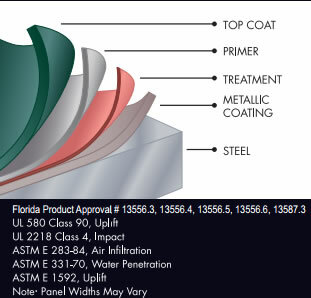 This standing seam product is available in an array of materials, gauge options, and color selections. The versatility of KenLoc makes it perfect for a rural home or a contemporary urban installation. 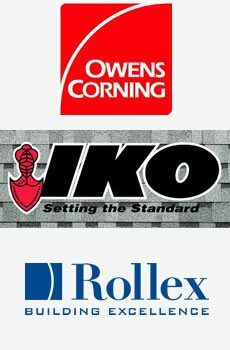 KenLoc metal roofing is made with 100% recyclable materials. It’s many decades away but your metal roofing will never fill up a landfill. The roofing material itself is manufactured with a minimum of 25% recycled materials making it a very green choice compared to other products. The durability of our metal roofing systems is unmatched with superior roof protection against strong winds, driving rain, large hail stones and more. Our architectural standing seam panel includes a concealed clip system designed for thermal movement, along with water shedding for effective drainage. With energy efficiency in mind these panels are offered with cool roof rated finishes to reduce energy consumption depending on your color choice. 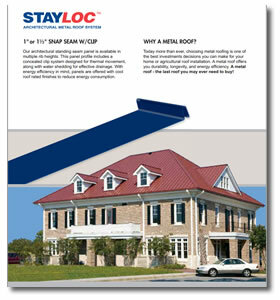 StayLoc metal roofing is made with 100% recyclable materials. The roofing material itself is manufactured with a minimum of 25% recycled materials making it a very green choice with less environmental impact. What Type Of Metal Is The Roofing Material Made From? Our roofing systems are made with steel. Actually it’s steel coated with a layer of Galvalume (aluminum and zinc) and then primer, and whichever top coat color the customer chooses. This layered system helps to form a barrier around your roof protecting it from corrosion and to help prevent molds and algae from forming on the roof. If you’ve ever owned an asphalt roof that had big unsightly dark streaks then you’ve already experienced mold and algae growth on your roof. A standing seam metal roof will completely eliminate this problem. Why Should You Install a Metal Roof on Your Wisconsin Home? If you’re going to live in your home another few years and then sell it, a metal roof would be a horrible investment for you. However, if you own a home that you plan on living in for a very long time or possibly handing down through your family then your home is a perfect candidate for a metal roof. 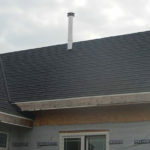 Asphalt shingles usually last somewhere between 10-20 years and can fail much earlier due to poor installations or severe weather or a disaster. 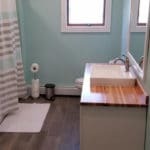 This means if a homeowner lives in their home for 30 years or so, they can expect to replace their asphalt shingle roof at least twice, possibly three times over the course of living there. With a standing seam metal roof you’d only have to do it once. Impervious to pest and rodent damage. Withstands damage from hail and severe weather. Very low maintenance and no staining from algae or mold. 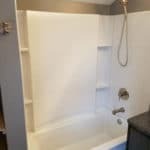 Energy savings with cool rated finishes. Who Installs Metal Roofing In and Around Mayville, Wisconsin?